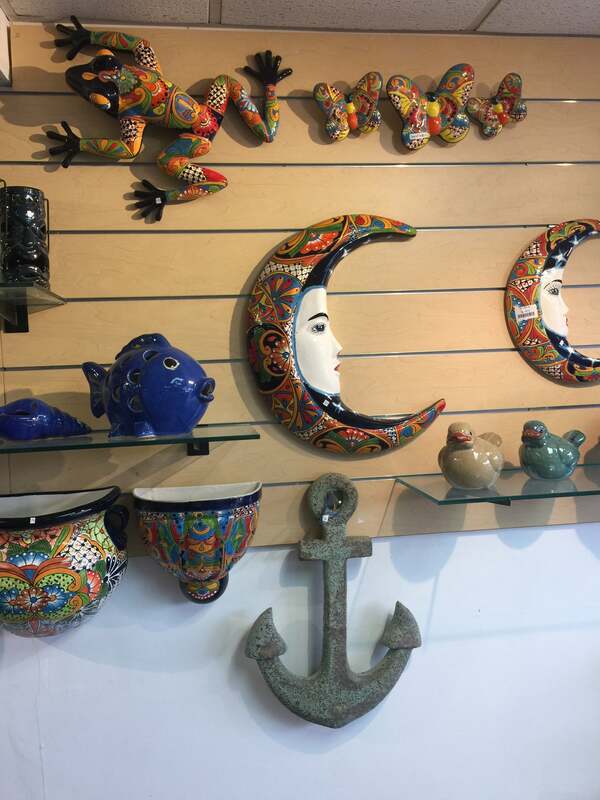 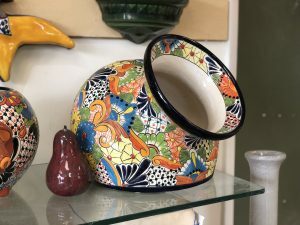 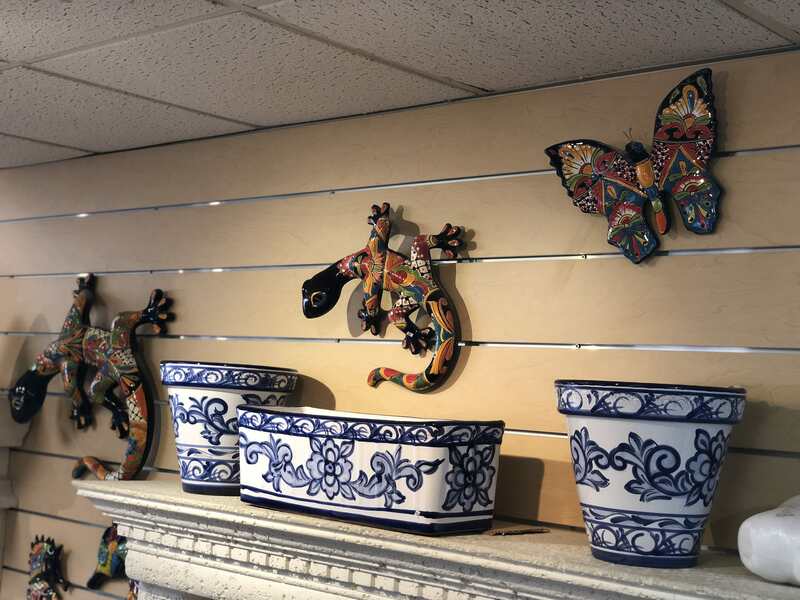 We carry a beautiful selection of Mexican Talavera Pots. Coming directly from Mexico our line of Talavera includes hand painted seahorses, dogs, lizards & more. 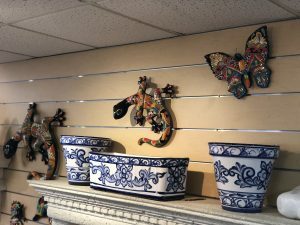 As close partners to one of the largest wholesalers of Mexican Talavera in the country we have plenty of affordable options to choose from. 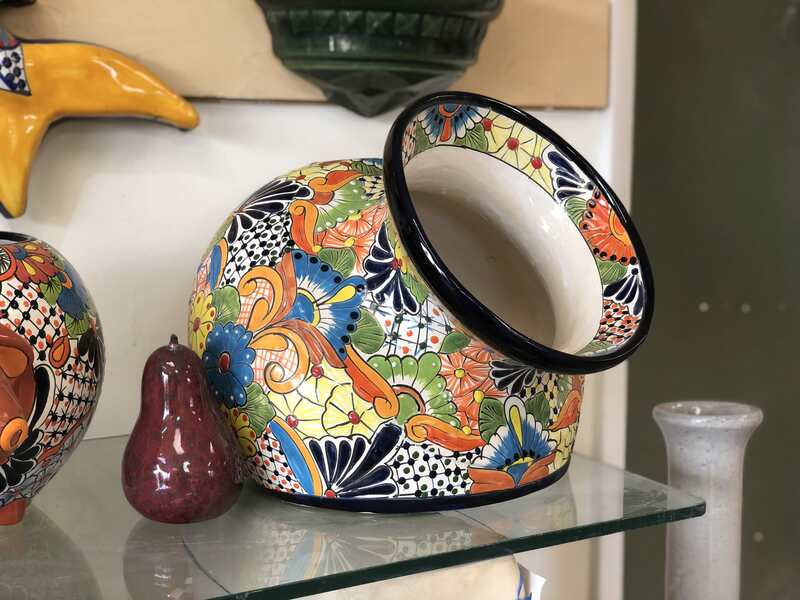 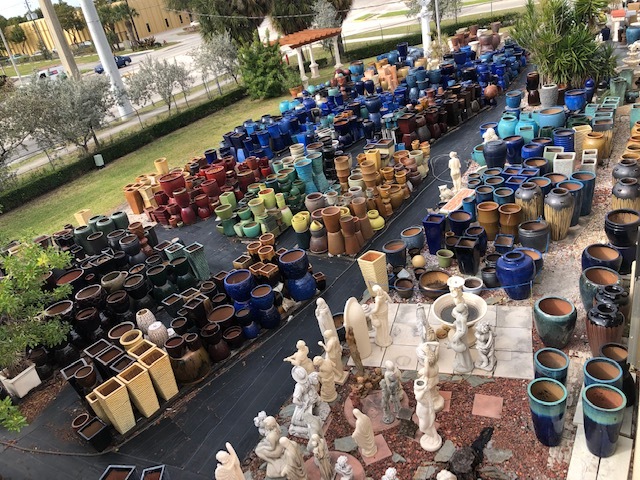 If you’re looking for something a little less ornate we also have a vast selection of concrete animal statues, glazed ceramic pottery, and cast stone planters. 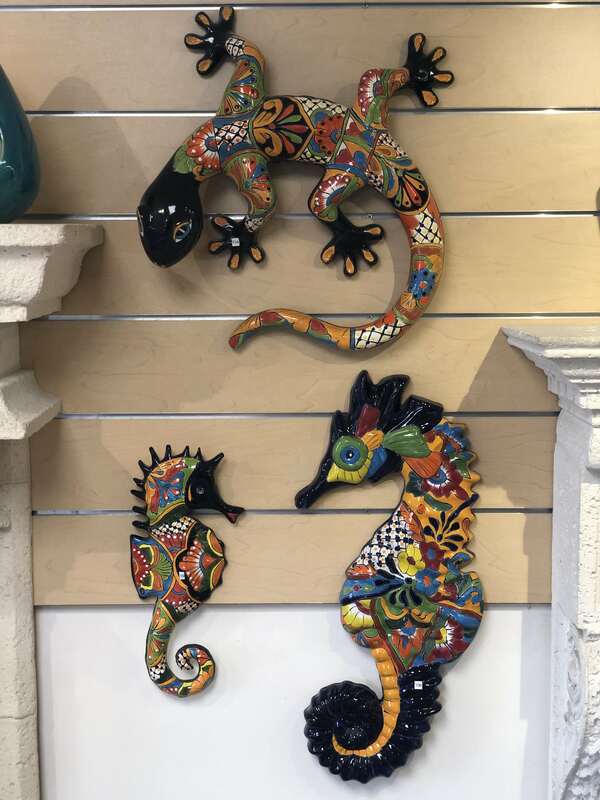 These hand painted Mexican Talavera seahorses or lizard bring a vibrant life to your outdoor patio.